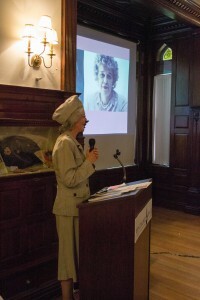 On May 9, 2015, Cornelia (Nini) Gilder, co author of Houses of the Berkshires*, gave a great talk at Ventfort Hall about Margaret Emerson McKim Vanderbilt Baker Amory (1884-1960). In a clear case of six degrees of separation, Nini shared a photo of Margaret as a Red Cross Director at Hickam Field in Hawaii. Nini had the photo because Margaret (now going by “Mrs. Emerson”) had been Nini’s mother’s boss during WWII. In the spirit of that remarkable coincidence, Nini sported her mother’s natty Red Cross uniform for part of her talk (with a photo of Margaret in the background). 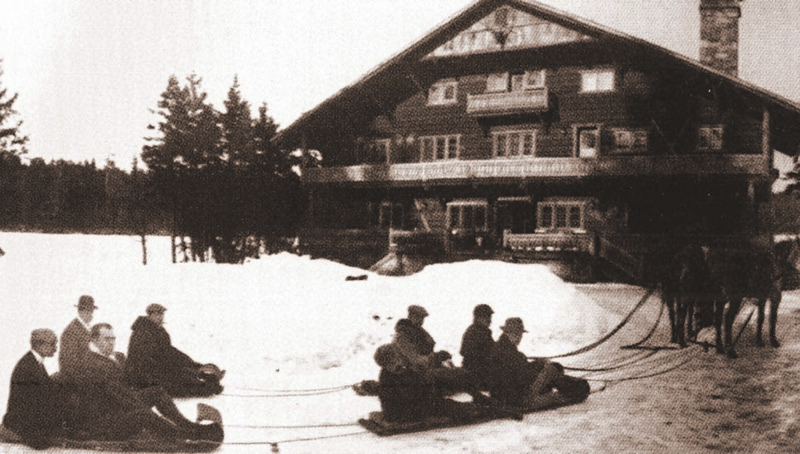 Margaret’s management experience came from supervising her 20+ servants, multiple households…. and lots of money. 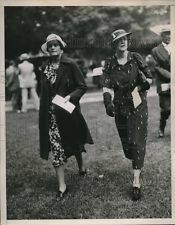 Alfred had two children, Alfred II (1912-1999) and and George III (1914-1961) with Margaret before sailing on the doomed Lusitania, in 1915, for an the Annual Meeting of the Horse Breeder’s Association and to bring supplies to the Red Cross. 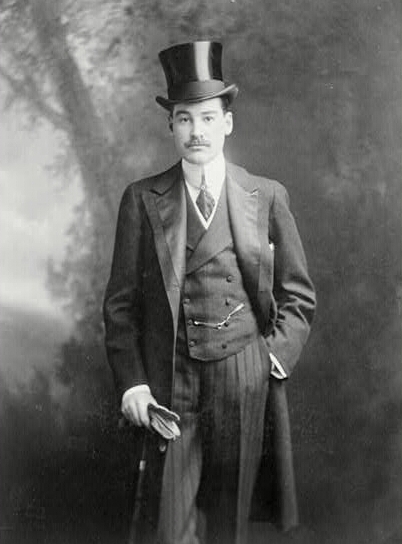 A gentleman to the end, Alfred allegedly perished after giving his life jacket to a woman who could not find hers. 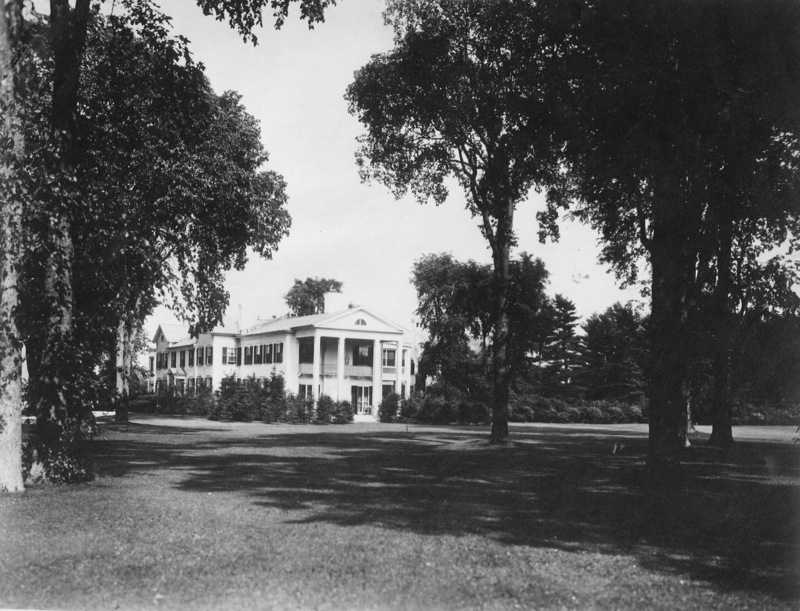 The widow would have been familiar with Lenox as a visitor to her husband’s cousin (Emily Vanderbilt Sloane – Elm Court) as well as other society cottagers. 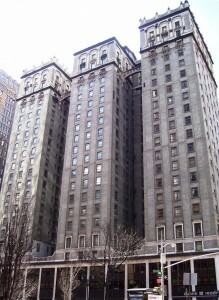 Mrs. Sloane’s daughter (Lila Vanderbilt Sloane Field) was a good friend would become a neighbor having built High Lawn in 1909. So it is not surprising that Margaret chose, a month after her husband’s death to come to Lenox where she rented a modest summer place – Shadow Brook. 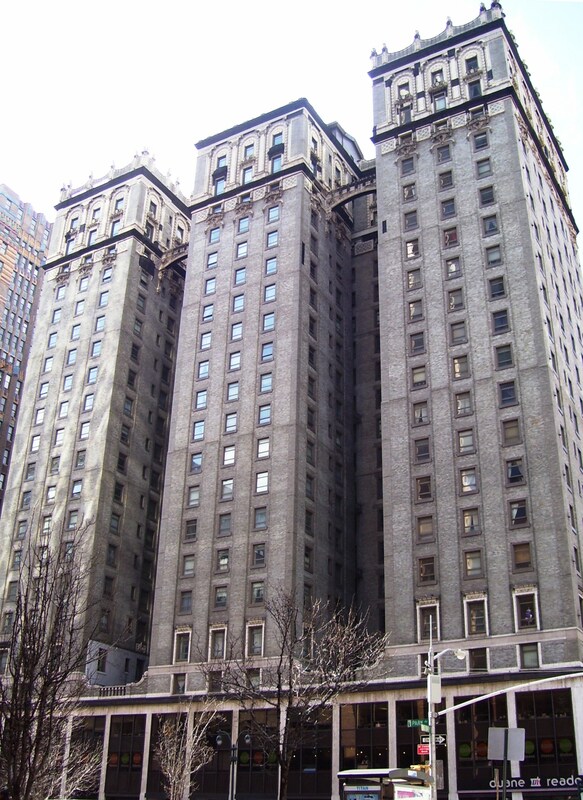 In 1916 she had to find new quarters as the property had been sold to Andrew Carnegie who could no longer, because of the war, go back and forth to his castle in Scotland. 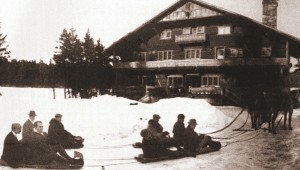 From 1916 to 1917 she rented Ventfort Hall. Nini had several pictures of the children enjoying the grounds including a birthday party photo that included Nini’s mother. 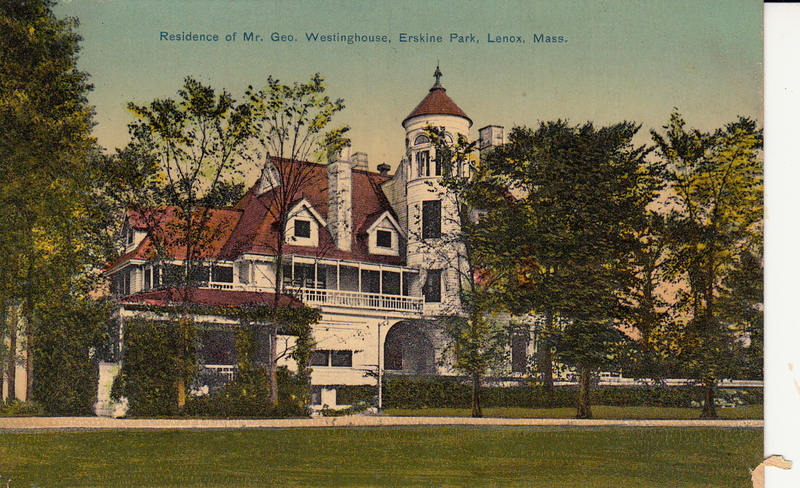 Erskine Park had been built for George and Marguerite Westinghouse in 1890 and was, by 1911, surrounded by 600 landscaped acres. Margaret bought the property on the condition that the elaborately decorated house be razed. She went right to work to build a brand new Delano and Aldrich designed Colonial Revival home with a large music room and portico. 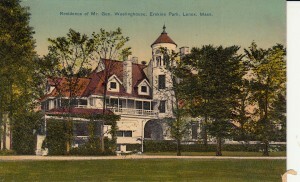 She particularly liked the fact that the grounds included space for croquet, tennis, and a gymnasium for the boys. Nice pad for a few weeks a year (since the family also lived in Palm Beach, New York, and the Great Sagamore). Holmwood, named for a spot in England that was the site of a memorial to Alfred Vanderbilt, was sold to the Foxhollow School for Girls in 1939. 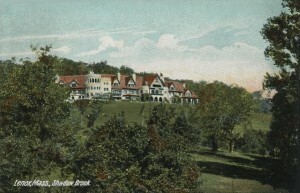 Margaret barely made it into Holmwood in time to marry husband #3, Raymond T. Baker (1875-1935). In another “you can’t make this stuff up,” she had met Baker in Reno when she was getting a divorce from husband #1. 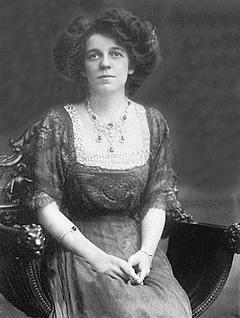 One of the social columns** reported, before she married Alfred, that “Mrs. McKim created quite a stir in San Francisco on one occasion when she departed for the orient, waving kisses to Ray Baker, the novelist and clubman, when the steamer left the dock.” They had a daughter, Gloria (1920-1975). 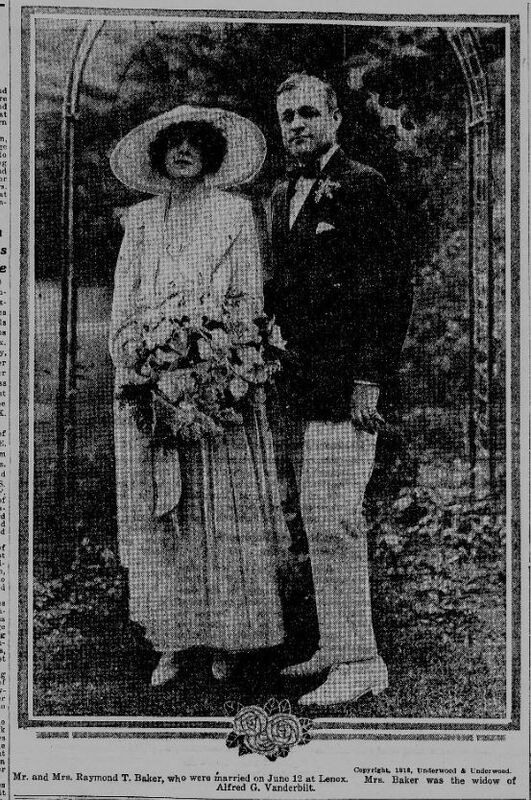 They divorced in October 1928. 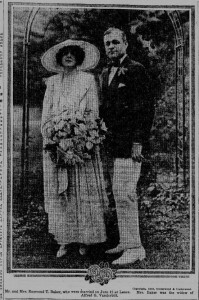 Not one to let the grass grow under her feet, Margaret married husband #4, Charles Minot Amory (he was from Boston – they had met in Palm Beach) in November 1928. They divorced several years later. I am conducting research about Margaret Emerson and would like to contact Nini Gilder. Margaret Emerson was a close personal friend of General George C. Marshall, whose papers I have been editing for the last four years. I am trying to understand the origin of their friendship. Would you please put me in contact with Ms. Gilder? I was recently in Lenox and plan to return to the Berkshires within a few months. Thank you very much. SOLD TO HENRY KAISER ? I HAVE PHOtOS MADE BY HIM PRIOR TO PURCHASE. I really stayed at 236 Kemble St. I wondered if it was the Ventfort Hall gatehouse or the carriage house to some other estate . The history of this property .